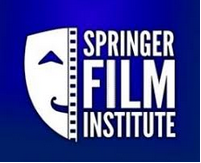 Curious about what’s happening in the new Springer Film Institute? Gather at the Springer as we open the doors to the Springer Film Institute’s first soundstage, the newly-constructed Studio 7, and meet the director and producer of SFI. This open house will showcase the capabilities of our Infinity Wall green screen and will include a screening of two short student and local films produced by the Institute with an early look at our upcoming original local film productions. Film students, faculty and film industry workers are invited to network while learning about all the exciting undertakings that are laying the foundation for a true indigenous film industry for Columbus. We want anyone in the industry, filmmakers, screenwriters, investors, crew, editors, producers, actors, voiceover artists, film distributors, festival organizers, animators, support organizations and any one else to drop in to see what’s underway at the Springer Film Institute. Everyone is welcome. We’ll have some interactive stations in Studio 7, while you get to mingle and enjoy some refreshments from “Craft Services” before screening two of our student films. Wednesday, August 1, 2018 5:30p.m. – 7:00 p.m.